London Stansted Airport is located about 40 miles north-east of central London. The airport is owned by the Manchester Airports Group and is the fourth busiest airport in the UK with flights to over 170 destinations and around 18 million passengers each year. The airport was the scene of a protest by 15 individuals who were subsequently charged, tried, convicted and sentenced in connection with their actions. 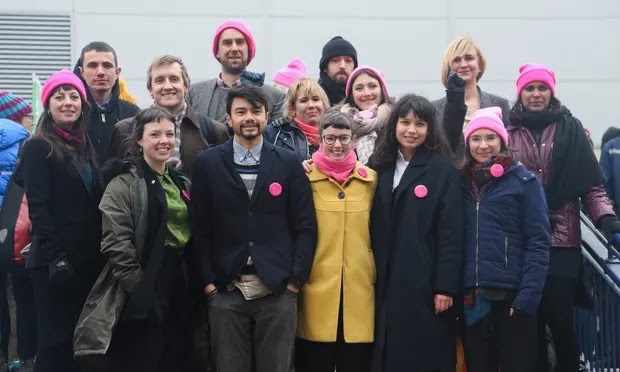 fifteen activists wearing pink hi-viz vests entered the perimeter of London Stansted airport's InFlite executive jet centre, and walked openly across a grassed area to where a Titan Airways Boeing 767-300 was parked. Entry was effected by cutting a hole approximately 1m x 1m in the perimeter fence. The activists split into two groups: one group used metal tubing to lock themselves together at the front of the plane, whilst the remaining activists walked to the rear of the plane, where they erected a tripod and locked themselves together underneath it. Within a few minutes, security guards arrived. By that time, the activists had already made it impossible for the plane to move in either direction, effectively cancelling the flight. The targeted aircraft was a deportation flight operating under charter to the UK Home Office. The deportees were bound for destinations in Nigeria, Ghana and Sierra Leone. The protesters were at first charged with Aggravated Trespass, an offence under the Criminal Justice and Public Order Act 1994 section 68 which is triable summarily in the Magistrates' Courts. The offence has been used in connection with other protests at airports such as the climate change protesters who caused disruption at London Heathrow Airport in July 2015. About 3 months after the defendants were first charged, the charge was changed to the very serious offence of "Endangering safety at aerodromes" under the Aviation and Maritime Security Act 1990 section 1(2) . A person who commits an offence under this section is liable upon conviction on indictment (i.e. in the Crown Court) to imprisonment for life. This offence was part of the legislative response following the destruction by a bomb of Pan American flight 103 on 21 December 1988. [See the Statement by Mr Cecil Parkinson, Secretary of State for Transport, on 10 January 1990]. The Endangering Safety offence requires the consent of the Attorney-General - Proceedings for an offence under this section shall not be instituted - (a) in England and Wales, except by, or with the consent of, the Attorney General - see section 1(7). Consents are explained by the Crown Prosecution Service where it is noted that the Attorney-General (or Solicitor-General) must act personally and that, having given consent, the Attorney will be consulted on developments in the case. In October 1998 the Law Commission completed an advisory project on Consents to Prosecution - (see the report) - and commented that it is a mechanism to control the prosecution process and that the Attorney is "democratically accountable for the decision." The accountability is, technically, to Parliament. The reasons for changing the charge are not known. For example, it seems that no new facts had emerged to justify a change to an offence with a far more draconian maximum penalty. Only murder, with its mandatory life sentence, carries a greater maximum penalty. On the facts reported in the media, the only physical damage was to the airport fence even though the protest caused disruption including the cancellation of the planned deportation flight. Media reports contain no indication that the protesters went anywhere else at the airport other than to the aeroplane parked on an apron area. They did not, for example, enter an active runway. The statutory definition of the offence includes the words "unlawfully and intentionally." It was argued for the defendants that they had acted out of necessity to prevent human rights abuses such as persecution in the places to which the deportees were to be sent. The trial judge ruled against a defence of necessity - The Guardian 4 December 2018. [For a note on "necessity" see post of 8 January 2011 - Climate protesters sentenced]. The Independent 10 December 2018 published this article offering reasons why the protesters took action. For example, a cry for help came from a lesbian woman who said her abusive ex-husband knew she was being deported and he was going to kill her on arrival. She had come to the UK believing she would be able to live freely as a lesbian, something she couldn’t do in Nigeria, where LGBTQ relationships are illegal – punishable by death or imprisonment. The protesters, believing these and other fears to be well-founded, decided to act against the Titan Airways flight. The trial took place in the Crown Court sitting at Chelmsford before His Honour Judge Christopher Morgan and a jury. The protesters were convicted. They were sentenced by way of suspended sentences of imprisonment for three of the protesters and community sentences for the remainder with the judge accepting that they were motivated by “genuine reasons” - The Guardian 6 February. Regrettably, and it is a common complaint, sentencing remarks are not (yet) published though the sentencing was covered by Essex Live. The Essex Live report states that the judge referred to foreign objects on runways causing catastrophic effects. It is of course entirely possible that debris on aerodromes can cause damage to aircraft - e.g. by way of ingestion by jet engines etc. The Concorde accident at Paris in 2000 was caused by debris on the runway left by a previous aircraft. The Concorde fuel tank was ruptured. In the various media reports of the Stansted protest case it is not clear whether litter was actually left on the airfield let alone on a runway. The trial was also of particular interest because Amnesty UK decided to monitor it - see Amnesty UK - Amnesty to observe trial amid concerns for anti-deportation activists. "All fifteen denied a single charge of intentional disruption of services at an aerodrome. They argued the protest was justified under human rights law and was necessary because of threats to those being deported, particularly to persons who could face imminent danger if forcibly returned on the basis of their sexual orientation or gender identity." The reader may be wondering why the deportation process did not prevent deportation of those who are, or may be, at risk of human rights violations if deported. This is due, in part, to reductions of legal aid under Part 1 of the Legal Aid, Sentencing and Punishment of Offenders Act 2012. This Act has wreaked severe injustice in many areas and none more so than immigration cases where it has become impossible for some to obtain access to justice. Immigration and Asylum is a difficult area of law. So much so that Parliament set up specialist tribunals to handle cases. Immigration decisions are made by Home Office officials with an appeal to the First-Tier Tribunal (Immigration and Asylum). There is a possibility of further appeal to the Upper-Tribunal (Immigration and Asylum) Chamber. Bail applications for immigration related detainees. Issues such as deportation and removal are no longer in scope, neither are refugee family reunion applications." The Stansted protest prevented the operation of that particular flight. The outcome was that 34 of the 57 people due to be deported were able to lawfully resist their deportation - e.g. by obtaining leave to remain in the UK. One such story is reported by The Guardian 10 December 2018. Of course not everyone will agree that the use of such a serious charge was unjustified. One commentator on Twitter said - "PRIVILEGED PROTESTERS They broke into Stanstead to stop failed asylum seekers being sent home, costing the airport £1 million and; resulting in misery for passengers. In court, they whinged about convictions denting job prospects and travel plans. They received a slap on the wrist." This is a view which utterly fails to see either the fear suffered by the deportees or the humanity motivating the protesters. It is reported by Justice Gap that an appeal is likely. The Guardian 11 December - Comment is Free - The Guardian view on the Stansted 15 - a sledgehammer prosecution. Parliament - Joint Committee on Human Rights - Report February 2019 - The Joint Committee on Human Rights (JCHR) makes 5 proposals to the Government to reform the immigration detention system. They conclude that the current system should be urgently reformed so that it becomes “fair, humane, decent and quick”. Read the report HERE. A deport first - appeal later policy was enacted in the Immigration Act 2014 but the Supreme Court ruled this to be contrary to the European Convention on Human Rights - see BBC New 14 June 2017. 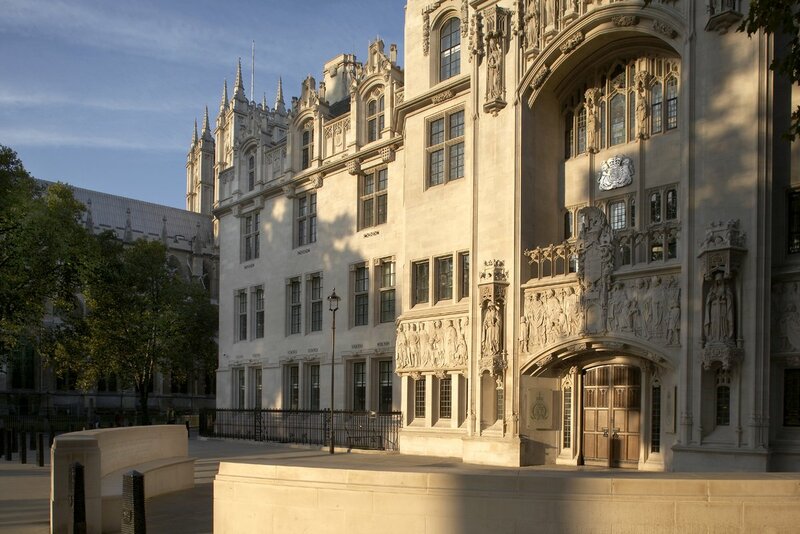 See also this article on the decision in R (Kiarie) v Secretary of State for the Home Department  UKSC 42.